Recommended for Long-Term Investors in the U.S.A. & Canada with a fundamental bias who need powerful screening and excellent charts on all platforms. Endlessly customizable and scalable the platform offers nearly everything an investor may need. 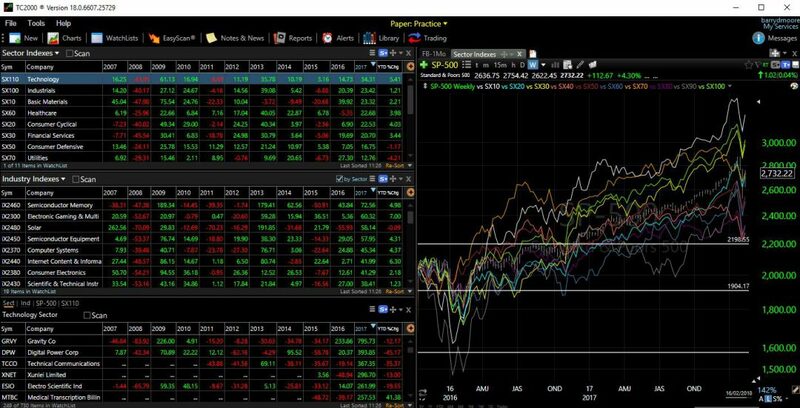 Award Winning Telechart TC2000 Won Our 2018 Stock Market Software Review. But Why Is It Best for U.S. Investors & Loved By Liberated Stock Trader? Recommended for Investors in the U.S.A. & Canadian Markets Who Need Powerful Fundamental Screening, Excellent Technical Analysis & Trading From Charts. Telechart has long been one of my favorite tools, I have been a Platinum service subscriber for over 18 years and find the latest release v18.x to be another great step forward. Endlessly customizable and scalable, the platform offers everything an investor in stocks, exchange-traded funds and options would need. TC2000 was a winner in our Best Stock Market Analysis Software Review, beating 25 other competitors. TC2000 is competitive on pricing with all premium stock market analysis software vendors, in fact, it is a leader in pricing, with only TradingView offering a similar price point. TC2000 has been voted as best software for 25 years straight by the readers of Technical Analysis of Stocks & Commodities Magazine. All levels of service enable you to use the TC2000 Brokerage, which enables live from the chart trading and competitive commissions beating out TD Ameritrade and Merrill. Real-time streaming data is available with an additional charge per exchange connection. This is the same for all software providers. 8 great layouts ready for use including my favorite Sector Drilldown, which I discuss later in the review. 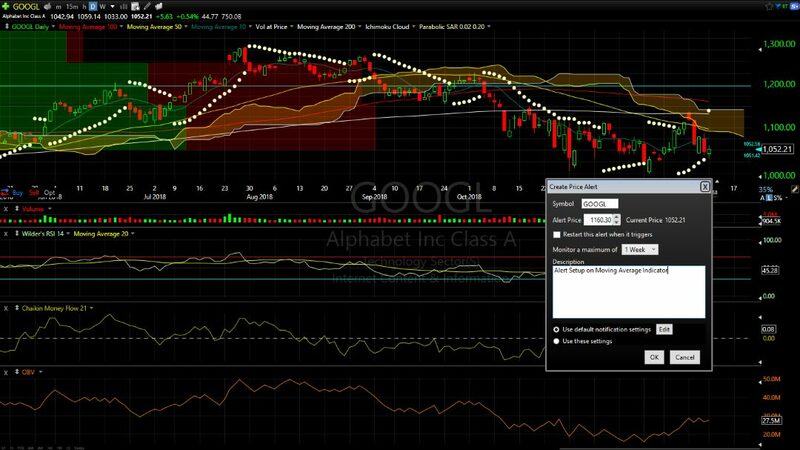 Mobile access to your charts, watchlists, and settings. EasyScan is enabled – this allows you to unleash the powerful fundamental scanning, you can scan on EPS, PE Ratio, Earnings Growth, Sales and many more. It is the best fundamental and technical scanning in the industry at this price point. 100 Alerts are enabled – TC2000 has an excellent alerts system which is extremely flexible allowing you to alert on any indicator, price or trendline. Alert can be routed through to your email, SMS or as on-screen popups. Charting of Fundamentals from MorningStar – this is great because it enables you to plot, for example, earnings per share (EPS) onto the chart. This enables you to see visually if a company has earnings acceleration over time. Worden Brothers continue their winning ways, with very competitive pricing starting at only $9.99 per month for the Silver package. I would recommend the Gold service to start with as you get a more powerful alerts engine and unlock the huge power of the technical & fundamental scanning and filtering that TC2000 is famous for. TC2000 is aimed squarely at those trading stocks, ETF’s, mutual funds and stock options, specifically on the U.S.A and Canadian Markets. TC2000 $25 Discount Pricing Code Voucher & $129 Worth of Bonuses. Liberated Stock Trader has partnered with Worden Brothers the creators of TC2000 for over 9 years, I am their biggest fan. I even based my PRO training course around TC2000. However, this is a factual review, there are many other software vendors that may meet your needs. 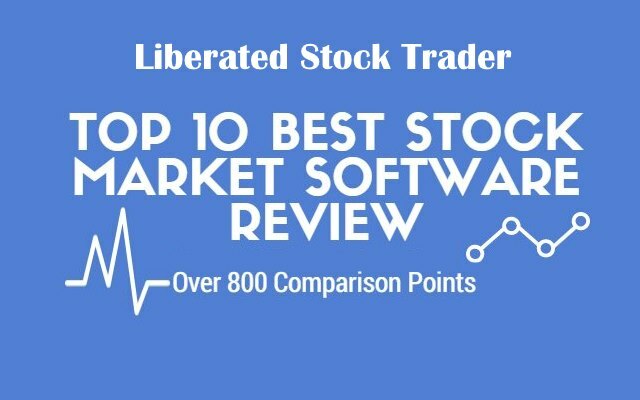 But if you decide TC2000 is the right software for you will get a $25 discount from TC2000 plus $129 in free gifts and discounts from Liberated Stock Trader. Simply use this button to get started. As I have been using the software since 1999 I can say the software is first class and reliable. Developed with Microsoft’s Dot.net framework TC2000 runs natively on the PC. It is fast, responsive and simple to use. The resolution of the software enables very intricate design details that other development platforms cannot match. Very quick to download and installation is a breeze. Because TC2000 is developed on a Microsoft framework, you will need to install Parallels Desktop, a windows emulation software to be able to run TC2000. The current license cost for Parallels is $79.99. Worden Brothers have apps on both the Apple store and the Google Play store, as you can imagine due to screen real-estate some of the functionality is trimmed. Support is excellent both on the forums, via email or via the phone. When you call you will get straight through and are able to speak with skilled personnel in the U.S. I have never had an issue where it was not solved more or less immediately. If you have not selected a Brokerage, you should look at TC2000 Brokerage as an option, they have competitive rates which also means you get full integration so you can trade stocks & options directly from your charts, a huge bonus. If you trade U.S. Stocks, ETF’s or Mutual Funds, then this is a great solution. Worden also provides regular live training seminars which are of a very high quality and also tour the U.S.A with free live training seminars for subscribers. The Worden Brothers in-house training team have hundreds of video webinars online available instantly. But even better than that they seem to be on a more or less constant roadshow with live free seminars across the United States. One of my students recently wrote to me telling me how great the training was and how much she learned. If you are based in the U.S. or can travel, it is well worth attending one of the scheduled seminars. Worden recently released TC2000 Brokerage offering discount brokerage services at $4.95 per trade. This new service means a tight integration between the charting software and the brokerage house. Essentially it means the holy grail, trading directly from charts in a visual way. Worden Brothers make a clean sweep 10/10 when it comes to trade management, with full Broker Integration (as long as you choose them as your broker). 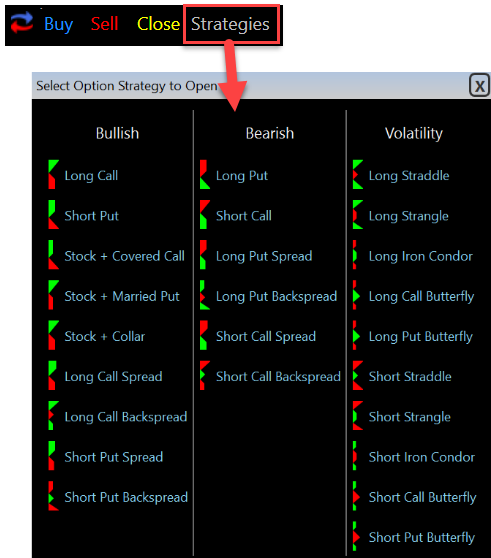 Use the Options Trading button at the top of the chart to open Options Strategy tickets directly on the chart. The menu divides strategies into bullish, bearish and volatility categories. Strategies include single-leg, multi-leg, and combinations of the underlying stock. 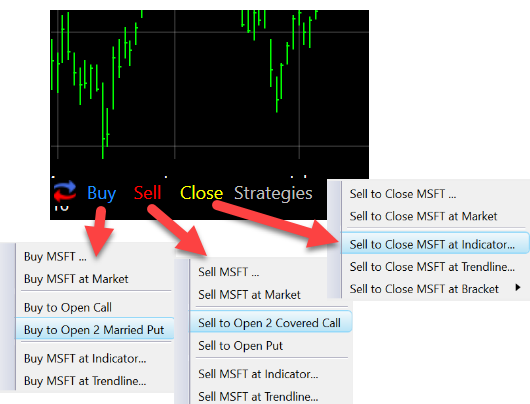 Multi-leg strategies then open as a single trading ticket on the chart. TC2000 also offers a nice implementation of options trading and integration, you can scan and filter on a large number of options strategies and then execute and follow them directly from the charts. Good profit & loss tracking and reporting round off the package to be a well-implemented solution. Taking a look at the image on the right you can see how well planned the order execution is from the chart. You can open an order, but only execute it based on a condition. The interesting thing here is that condition can be any technical or fundamental condition. So you could theoretically, execute a trade is the EPS for the last quarter exceeds 35%. Alternatively execute a trade is the real-time price breaks through the Ichimoku cloud on higher volume. The possibilities are limitless and mind-boggling. Make no mistake about it, if you want fundamentals stock screeners in real-time layered with technical screens all integrated into live watch lists connected to your charts TC2000 is a power player. I selected TC2000 as my tool of choice back in the year 1999 because it offered back then, simply the best implementation of fundamental scanning, filtering and sorting available on the market. 20 years later, they are still a leader in this section. They offer a huge selection of fundamentals to choose from 192 to be exact, but even better than that, what makes it truly unique is the fact you can, with a few clicks, create your own indicators based on the fundamentals. You can then overlay the indicators directly on the charts, which opens up a whole new world of technical and fundamental analysis. 10 out of 10 for TC2000 again. One of My Favorite Scans & Fundamental Watchlist Setups. TC2000 is perfect for scanning the entire market in a few seconds for the best fundamental setups of any company. In the Liberated Stock Trader PRO Training, I show how to find the best companies using TC2000. Plotting Fundamental Indicators As Stock Chart Indicators. In the chart below I show you how it is possible to plot over 129 different fundamental variables from the balance sheet, income statement, and financial performance onto a chart. According to the classic William O’Neil book “How To Make Money In Stocks” the C from the CANSLIM method is stands for current earnings. This fundamental criterion and many others are easily plotted using TC2000. While Telechart does not have a perceivable real-time news element included in any of the service tiers, it does have integrated links to external websites like Google Finance, CNN, Yahoo Finance, MSN Money, Marketwatch, and StockTwits. The software will open a separate browser window and sync between TC2000 and the web browser. This is, however, less than satisfactory. For $8 per month extra, you can upgrade to the Live Briefs By MT Newswire Investor service – this is a solid news service if you do not need real-time news. If you need real-time news you may want to pay for Live Briefs By MT newswire PRO which will cost a mighty $50 per month. If real-time news is critical for you, you may want to look at Benzinga PRO or MetaStock with Xenith integration. If you want social community and integrated news, you will need to roll back to TC2000 v12.5 and use Internet Explorer as your browser. The social integration cannot be compared to TradingView which is a seamless implementation. TC2000 has an excellent array of technical indicators and drawing tools, all the big ones are there, from OBV, RSI and Bollinger Bands to Fibonacci Fans and Andrews Pitchfork. With over 240 different indicators you will have plenty to play with. Here is a setup I use to find divergences in stock price and volume supply and demand, it is very reliable because it uses a mix of price, volume and price/volume indicators. I have also back-tested Ichimoku Cloud indicator accuracy and it is also quite reliable. All of these indicators are available in TC2000. The chart below shows you the implementation. As you can see on the chart window they have also introduced live alerts which you can configure to email or pop up if an indicator or trend line is breached. Very useful indeed. If you want to perform powerful backtesting or trading automation, then TC2000 is not for you. You may be able to utilize the add-on product called StockFinder if you are a Platinum Member and you specifically call to ask for it. However, StockFinder is no longer in active development, which is a shame because I think it is one of the very best in the market. The Stock Market Crash Detector was build using StockFinder and here is an example of how powerful it is. TC2000 is easy to use and yet very powerful. The interface design strikes the right balance between looking great and being instantly useful. A heavy focus on watchlist management, flagging stocks, making notes and powerful scanning make is easy to use and master. Software setup is completed in a few minutes, but it also runs perfectly across devices. If you want to run a very quick test to see how easy to use TC2000 is, try the following. In 5 Clicks you have this wonderful industry sector drill down. In the above chart I have drilled down into the Technology Sector, and instantly we see the industry indexes, Semi-Conductor, Gaming, Solar etc. What is really nice is we see to the right the relative performance for the sector versus the S&P-500. As a U.S. investor, there are many advantages to using TC2000, as we have seen ranging from ease of use, price, customer service, powerful fundamental stock screeners and amazing technical analysis tools. Version 17 brings us a lot more including Brokerage Integration and Trading from charts and these 7 big new enhancements. Online access from any computer anywhere (including your personal settings, WatchLists, etc) This is a huge step forward allowing you to access from any computer all your settings, stocks, notes, overcomes the restrictions of the previous version. Bar Intervals—Daily and above; Intraday (supplied by BATS in Gold; full market real-time in Platinum) This is nice, the excellent near real-time feed from the BATS exchange now included in the new TC2000 free for gold members. QuickSort—fastest sorting ever! Superfast sorting and scanning. Watch List Columns created by conditions directly from your charts. This is for those people who enjoy the benefits of Stockfinder but wish it was integrated into Telechart. Improved Drawing Tools – A great new list of powerful tools including trend lines, Fibonacci, Gann, text and more. Alerts—trendline, price, condition & reminders – Get alerts to your inbox when a stock breaks through a trend line you have drawn. Awesome. TC Menus—still have EasyScan, PCF’s, Custom Date Sort, etc. Worden Brothers have pulled out all the stops for 2018. Here are some of the hottest new features. Access the new trading menus on the lower left corner of any chart. They give you access to the most common order tickets and operations. EasyScan Dashboards are reports that can track multiple EasyScans at one time. Counts are continuously updated so you can see stocks move between your scans. Click the report button on the toolbar at the top of TC2000. Click to create a new EasyScan Dashboard. Click the checkbox to toggle edit mode on and off. With edit mode turned on, click the + button to add your custom EasyScans to the dashboard. Counts are updated in real-time (if you have real-time data). 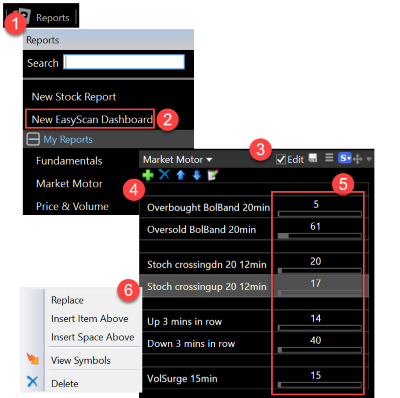 Right-click on any scan to make edits or view the watchlist of passing stocks. Does the system has “Time Series Forcast” as one of the technical indicators?